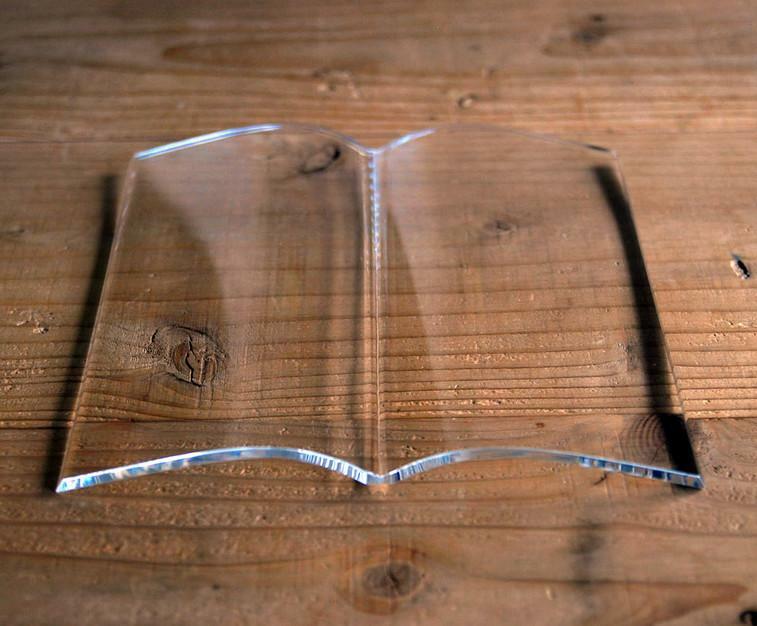 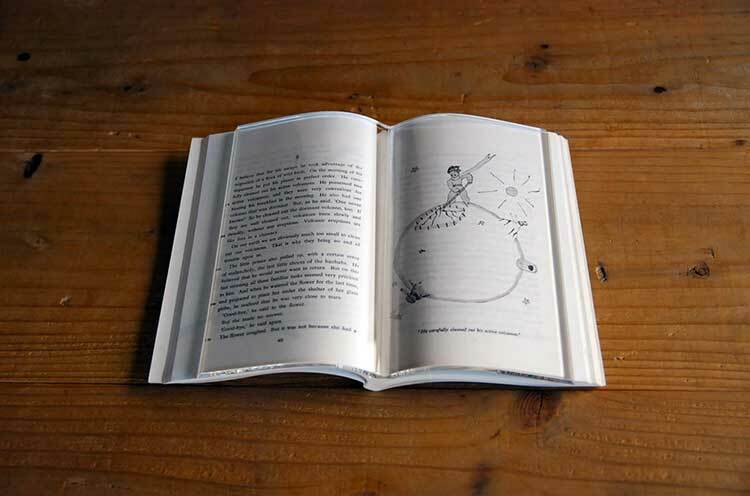 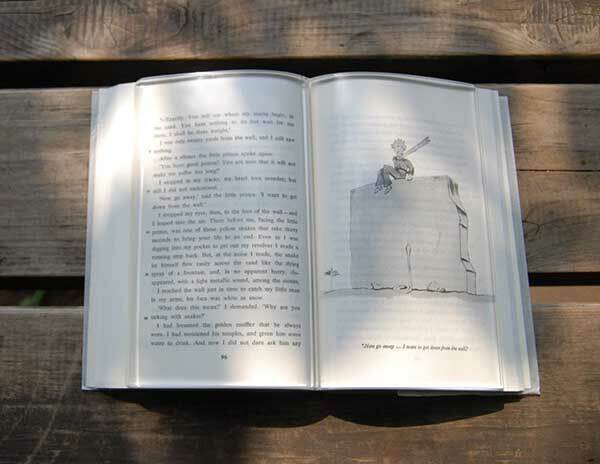 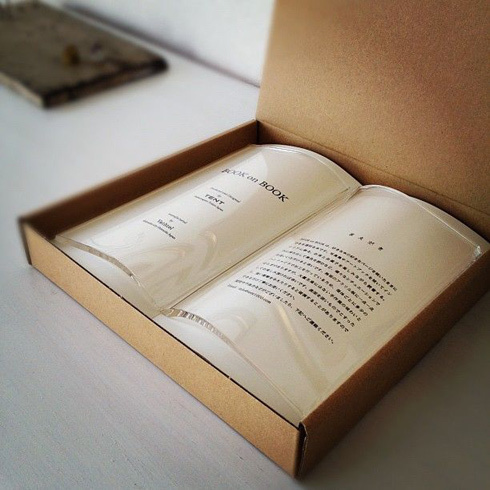 The book on book glass page holder is a transparent piece of glass shaped like a book that holds the pages of your book down while you read through it and was created by a Japanese company called Tent. 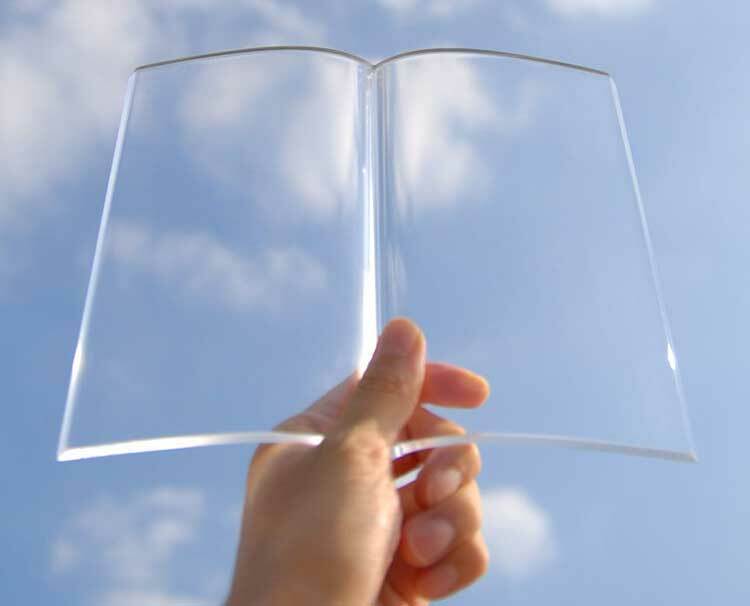 The glass book holder is great for when you need to eat cheeseburgers and/or sip cola from a big gulp while you read 'Weightloss for Dummies', the glass will hold your pages for you while you fatten up and learn how to lose weight. The Book on Book glass page holder weighs around 7.7oz, and measures 2.2 cm thick.